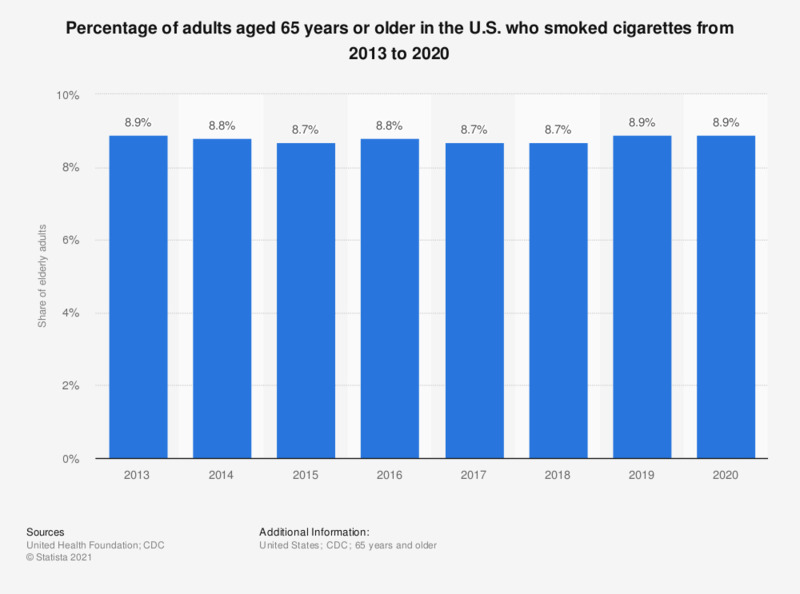 This statistic presents the percentage of adults aged 65 years and older in the U.S. who smoked cigarettes from 2013 to 2017. It was estimated that around 8.7 percent of elderly adults smoked cigarettes in 2017. Reported smoking at least 100 cigarettes in their lifetime and currently smoke every or some days.